Spelling Bee 2017 – Children across the academy competed to become the Spelling Bee Champion in their year group. Heats took place in classrooms across the school to find our 16 finalists. 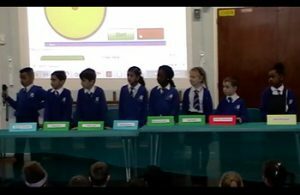 Each final began with a speed spell team competition and children in the winning team then competed against each other to become the individual Spelling Bee Winner for their year group. 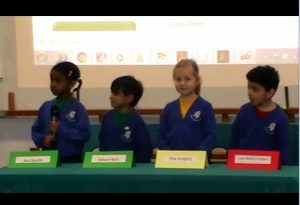 Spelling Bee EYFS 2016 – Once again Mrs Dazley and her EYFS team organised their Spelling Bee in which all the children took part in front of the watching parents. Everyone tried their very best and we ended up with 5 children who shared the winners podium. Spelling Bee 2016 – The finals took place today Monday 8th February 2016 and what a great day it was. 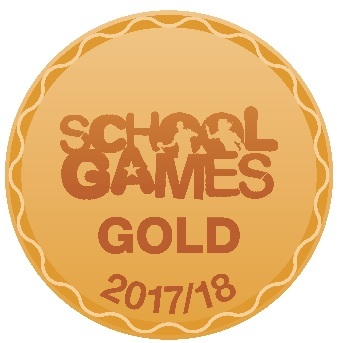 After all the heats taking place in the classrooms over the last week, the competition was hard fought to get through to the finals, with so many children doing so well. 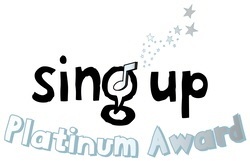 Year 1 Finalists – Amirah, Clara, Cory, Imani, Kenson, Kerry, Mariam and Moriyike. The year 1 children showed great teamwork as they supported each other through this competition showing their appreciation in their fellow classmates achievements. A long hard battle eventually found us a winner. We look forward to seeing these children progress through the years and more Spelling Bee competitions. Year 2 Finalists – Elliot, Emily, Kieran, Lily, Lindon, Lois, Mollie and Rosie. 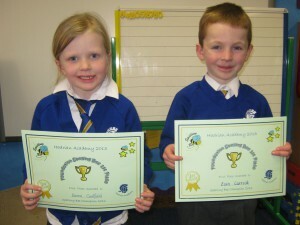 Following on from the year 1 finals the year 2 children were also out to impress. Some tricky words eventually eliminated the competition and led to us having 2 children taking first place. 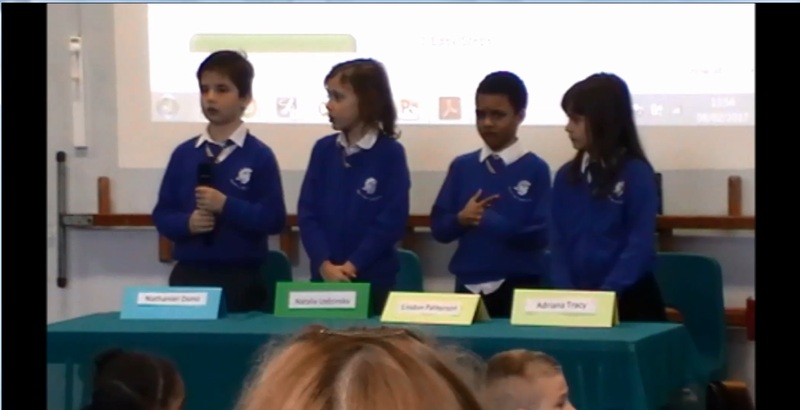 Year 3 Finalists – Alice, Elliot, Kelvin, Kitty, Liam, Poppy, Samuel, and Zuzanna. Spellings were taken from year 3 and 4 lists with year 5/6 spellings proving just a little to much this time around. This finals was taken in great spirit with the children enjoying the competition. 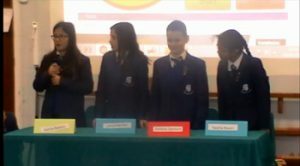 Year 4 Finalists – Brooke, Eleanor, Jessica, Louisa, Ryan, Twarita, Twisha and Zain. It seemed as though we would never be able to whittle our way down to find our winner. The Year 4 children continued to amaze the children, staff and audience with their spelling knowledge. Years 5 & 6 Finalists – Benjamin, Emma, Hierrushoth, Isabelle, Javanisha, Jocelyn, Maddison, Nour and Sam. Another competition taken in good spirit with no one wanting to be eliminated as they were enjoying the challenge. Eventually down to our final three it was tough to get this far but there could only be one winner. Spelling Bee 2015 Results – It’s that time of year again. 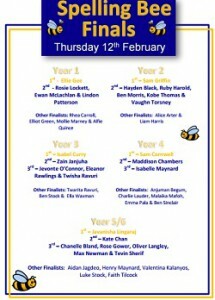 Our annual Spelling Bee took place today 12th February and here are the results. Spelling Bee winners 2015 Sam, Isabel, Ellie, Javanisha and Sam. Year 1 Finalists were Rhea, Ellie, Elliot, Rosie, Ewen, Mollie, Lindon and Alfie. Year 2 Finalists were Alice, Hayden, Sam, Ruby, Liam, Ben, Kobe and Vaughn. 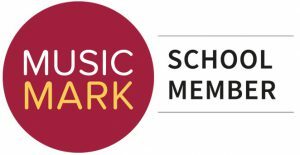 Year 3 Finalists were Isabel Curry, Zain Janjuha, Jevonte O’Connor, Eleanor Rawlings, Twarita Ravuri, Twisha Ravuri, Ben Stock and Ella Waxman. 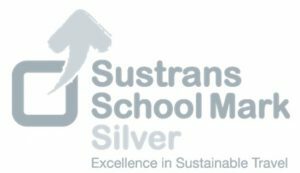 Year 4 Finalists were Anjuman Begum, Maddison Chambers, Sam Cornwell, Isabelle Maynard, Charlie Lauder, Malakai Mafoh, Emma Pala & Ben Sinclair. 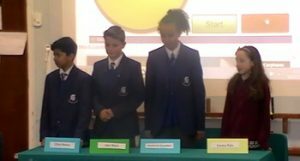 Years 5 & 6 Finalists were Chanelle, Kate, Rose, Aidan, Valentina, Oliver, Javanisha, Henry, Max, Tevin, Luke and Faith. 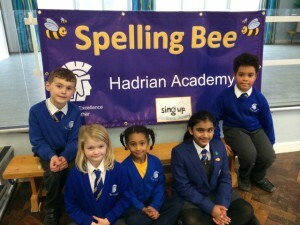 This week we hosted the finals for Hadrian Academy’s first ever Spelling Bee and everyone had a lot of fun. Foundation began the proceedings on Monday with a competition that was open to all contenders. A big well done to Eoin and Emma for coming out on top. 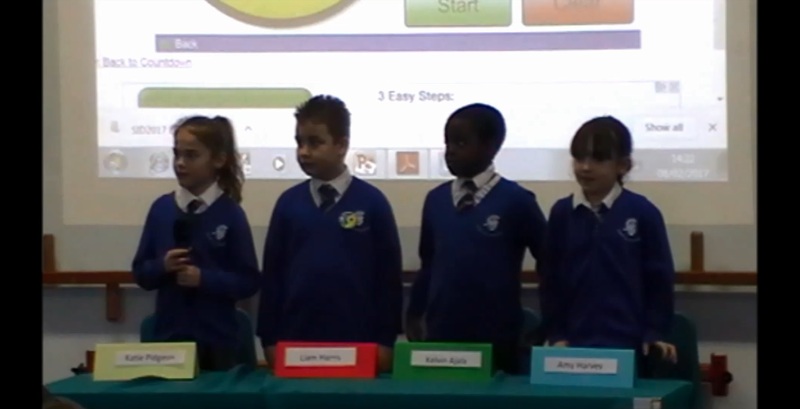 Our Year 1 finalists were Louisa, Femi, Sara, Twisha, Twarita, Eleanor, Dominic and Maisie. After a very close battle, with some impressive spelling, Twisha became our Year 1 champ. Well done to everyone. Representing Year 2 were Maddison, Sam, Katie, Matthew, Danny, Tanya, Benjamin and Harrison. After a great effort from all our finalists, Maddison became our Year 2 Spelling Bee. 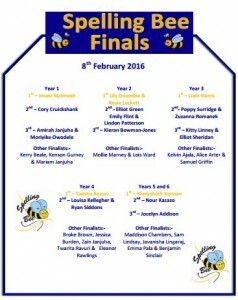 Wednesday saw the KS2 Spelling Bee finals. Year 3 started the afternoon with the finalists Elli, Aidan, Ruairi, Raegan , Mia, Robyn, Kian and Arun. Robyn spelt her way to the winners podium. Well done to all finalists. The final competition for our first Spelling Bee was the Year 4′s. Siddhant, Jamilah, Zumaira, Nisha, Kaleemah, Ruby, Leia and Jakob represented their year in a close, friendly competition. A very big well done to the winner Nisha and all the finalists. We have some real spelling talent at Hadrian and the children really took to the challenge and did a fantastic job! A big thank you to Mrs Auker for organizing the event for the children to participate in. We look forward to next year’s Spelling Bee. Congratulations to all the finalists for earning points for their house.